When you have to deal with multiple copies of the same file in the Drive, apart from creating confusion, the files also take up a certain amount of valuable storage space in your Drive. Don't you think it would be easier if you could simply replace an existing file in your Google Drive with the new version instead of uploading it as a separate file? Yes, you can do it easily by following a few steps given below. 1. Open Google Drive and choose any file that you would like to update. File format supports like PDF, text files, images or even videos. 2. 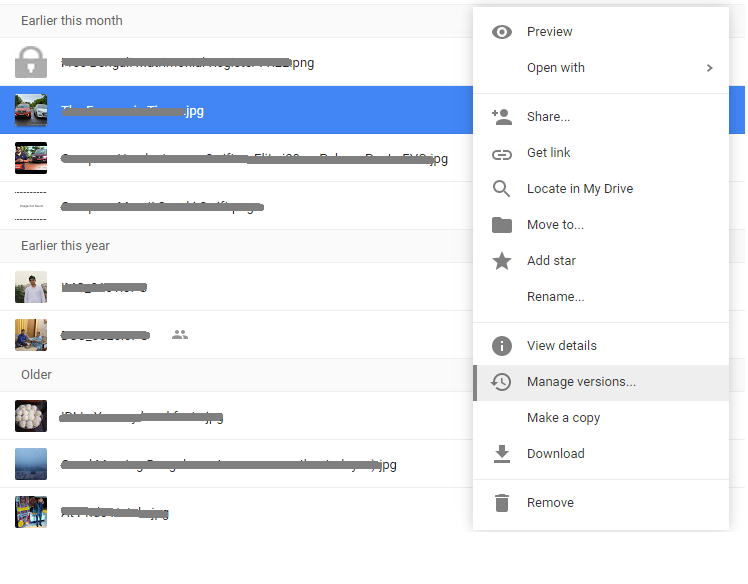 Select “Manage versions” from the menu by right clicking on the file and then select the “Upload new version” button to upload the updated file to your Google Drive. 3. And you are done. The file name and the file’s URL will not change and all the old links that have been shared earlier will now automatically point to the new version of your file. You can use the same technique to replace a file in one format with another format. In case you have a jpg file in the Drive that you would want to replace with a png of smaller file size, then it's the same “Manage versions” option that will work. The best part here is that you can have the same link as you had previously.